Someone asked me yesterday about teaching the teenagers. Everything in me screamed, Nooooo! Then I did what I’ve always done in the past. I suggested teaching the adults, but he explained to me that he already had teachers for the adult classes. There was not a need there, but there was a very important area that was lacking and he wanted to put me where I was needed. (It’s interesting how we take our children to church every Sunday yet we sometimes neglect them, but children make up the body of Christ, too). Well, I must admit I like to pick and choose what I want to do, but it may not be what God wants me to do. Sometimes God doesn’t place you where you want to be, but where you need to be. From time to time, I’ve behaved just like Moses where I didn’t feel qualified or worthy to do what is being asked of me. Who am I that I should go to Pharaoh and that I should bring forth the children of Israel out of Egypt? (Exodus 3:11). God didn’t spare Moses for nothing. It was for a purpose. He was set apart. He grew up in Pharaoh’s house. He was educated in all of the wisdom and culture of the Egyptians and was mighty in words and in deeds (Acts 7:22). The day that God called him out of a burning bush, Moses was already walking in his calling. He was leading the flock to the backside of the desert, but he didn’t think he was qualified either. God knew why Moses ran away from Egypt. He knew that he murdered someone. He knew he didn’t speak very well, but none of those things changed God’s mind. Moses wanted God to tell him who he was, but instead God told Moses who HE is. I am that I am (Exodus 3:14). Everything Moses went through (good and bad) – from the time he was born – was preparing him for this very moment. God had given him much and now He was requiring much. He knew Moses was afraid, but He promised to be with him (Exodus 3:12). All He needed was for Moses to trust Him and to obey Him while HE do the work (Philippians 2:13; John 14:10). Leading his father-in-law’s flock was easy, but leading a people was going to be a challenge. However, it taught him how to pray on the behalf of others, it taught him how to love people and it taught him to trust God. Maybe you don’t have what someone else has or maybe you can’t do what someone else can do, but you are necessary. We need one another. God has set every one of us in the body as it pleased Him. There is no need for the ear to try to be the eye because the function of the ear is just as important as the function of the eye. They look different. They don’t operate the same, but they are still important to the body. Even the parts that seem the least important – the parts we can’t see – are valuable to God. We shouldn’t go to church just to get a need met, but we should go to church to meet someone else’s need. There are people going through things that we have no idea about. There are people who are fainting. They are thinking about giving up. They are thinking about quitting, but because we are so focused on our problem, we can’t see their problem. In fact, God told me a couple months ago, It’s time to stop feeling sorry for yourself. God wants us to have pity or compassion on others, not wallow in self-pity. He wants us to be like His Son, who had compassion on the multitude who was with Him for three days and had nothing to eat (Matthew 15:32; Mark 8:1-3). He knew some of them had traveled long distances. He wasn’t like some of us who have seen someone’s need, but instead of feeding them, we sent them away hungry. Had Jesus done that, the people would have fainted along the way, but He cares for us. Sometimes we get weak along the way. We all need comfort, encouragement and support and we are to care for one another. For too long, we have been ministering to the whole while neglecting the sick. They that be whole need not a physician, but they that are sick (Matthew 9:12). If God is sending you somewhere, it’s because a need is there. If He is asking you to do something, it’s because someone has need of it. Sometimes we forget that God gave us a body for HIM. The body is for the Lord and the Lord for the body (1 Corinthians 6:13). Don’t let your past stop you. Don’t let your weakness stop you because His power and strength is made perfect in your weakness. 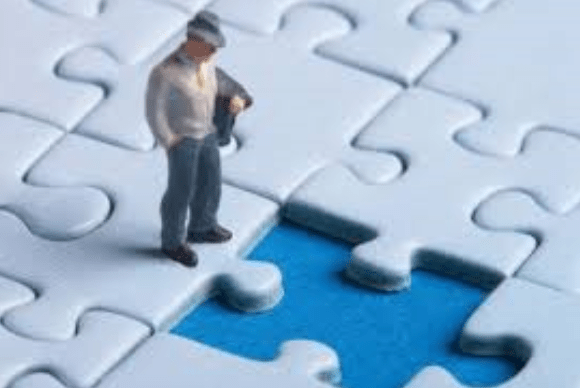 When you are not doing what God needs you to do, you are like a missing piece of the puzzle, but what you don’t understand is that those other pieces need you. Whether you feel like it or not, you do ‘fit’ in God’s plan. This entry was posted in Uncategorized and tagged body, church, necessary, necessarynecessaryneedneedwantwantpartspartsbodybodychurchchurch, need, parts, want.